John and Charles Wesley in Cornwall | Cornwall For Ever! Charles and John Wesley were vicars in the Church of England. They felt that the Church was no longer meeting the needs of working people. Instead, they began their own form of worship, which became known as Methodism. Charles and John first visited Cornwall in 1743. They made many more visits and converted thousands of Cornish people to Methodism. Prontoryon yn Eglos Pow Sows o Charles ha John Wesley. I a grysi na servya an eglos an edhommow a oberoryon na fella. Yn le a henna i a dhallathas furv aga honan a wologhas hag eth ha bos aswonys avel Methodydhieth. Charles ha John a vysytyas Kernow yn kynsa yn 1743. I a vysytya lieskweyth moy ha treylya milyow a Gernowyon dhe Vethodydhieth. Charles and John Wesley were vicars working in England who were unhappy with how the church met the needs of working people. In the 1740s, they began to travel all over the Britain, preaching a new message of self-discipline and faithfulness. They believed that everyone could be saved from their sins through a strong faith in God. This new form of worship became known as Methodism. On 16th July 1743, Charles came to St Ives in Cornwall to meet a small group of people who had formed their own religious society. This group wanted to improve their own lives and the lives of others. Charles began preaching in the market at St Ives. At first, people were angry and mobs tried to attack him. These mobs had been encouraged by local vicars who thought that Charles was a threat to the Church of England. 10,000 people came to listen to them at Gwennap Pit, near Redruth. On 30th August 1743, Charles’ brother John also arrived in St Ives. The brothers began preaching all over Cornwall and soon thousands of people were gathering to listen to them. Their message of hope through faith in God was particularly popular with Cornish miners. Over 1,000 people came to listen to the message at St Just and 10,000 people came to Gwennap Pit, near Redruth. Some local vicars and members of the upper class disliked Charles and John. A magistrate (judge) from Ludgvan called William Borlase tried to have John arrested. However, the vicars of St Gennys and Laneast in north Cornwall welcomed John and let him preach in their churches. Charles and John preached against smuggling, wrecking, wrestling, drinking and gambling. This made some working people in Cornwall angry and mobs continued to try to attack the brothers. However, as more people became Methodists, the attacks stopped. Charles and John had planted the seeds of Methodism in Cornwall. They came back many times to preach to the people. John visited 32 times and even went to the Isles of Scilly. Communities all over Cornwall formed Methodist societies, which met in private houses. Both men and women were encouraged to become preachers. Methodists in Cornwall also set up societies to educate children and adults, and to help people in distress. John last preached in Cornwall on Friday 28th August 1789. He was then 86 years old. 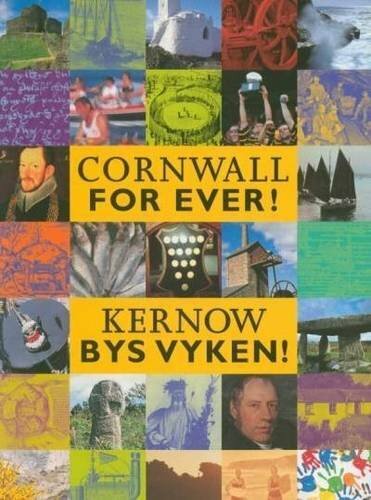 By the end of the 1700s, thousands of Cornish people had become Methodists. Charles and John had wanted their new form of worship to remain a part of the Church of England, but in 1795, the Methodists broke away from the Church. In the 1800s Methodists built chapels in nearly every parish in Cornwall, and by 1851, 60% of people attending a religious service in Cornwall were Methodists. Methodism became a key part of Cornish identity. Many of the things we think of today as being Cornish – including male voice choirs, brass and silver bands, carol singing, and tea treats – all developed in Methodist communities. Brass bands and tea treats were developed in Methodist communities. It is said that in 1773 John Wesley preached to 32,000 people at Gwennap Pit. If that were true, this would have been nearly one quarter of the whole population of Cornwall at that time. If someone preached to one quarter of Cornwall’s population today, it would mean over 130,000 people gathering in one place!